If AB = BC, which of the following is an expression for the area of quadrilateral ABDE ? So, what are the areas of each triangle? 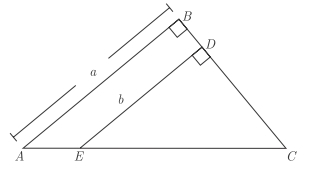 In this case, the base and the height are both equal to b.